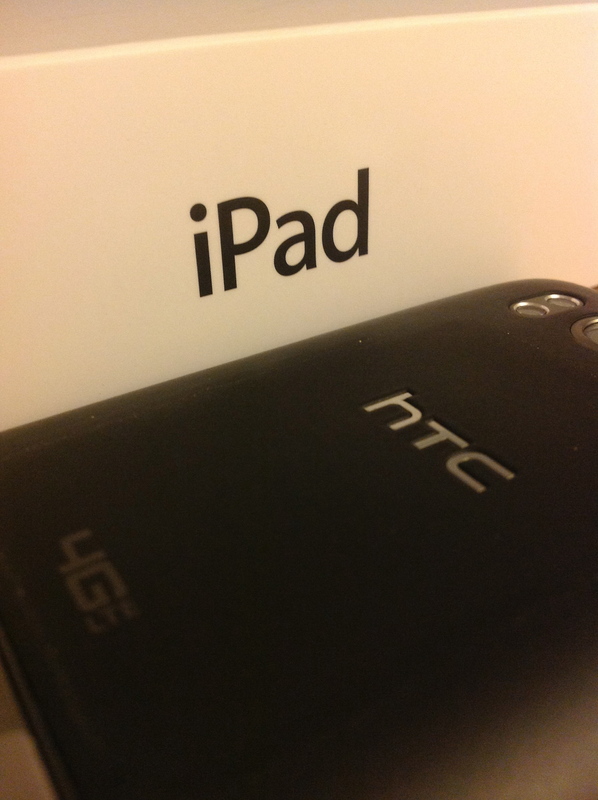 I love my Android-powered HTC ThunderBolt. I even lined up at my local Verizon store before they opened, just to get this first 4G LTE device (Verizon's first). But when I needed a tablet, I bought an iPad. Here are some observations after using my new iPad every day for 30 days, alongside my Android smartphone. 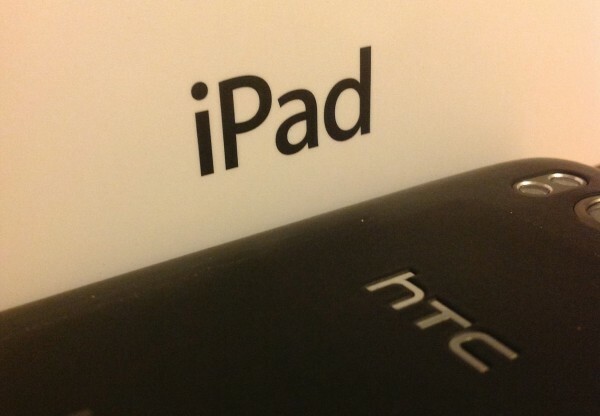 The retina display is great, but I have little to compare it to since I haven't regularly used an iPad before. Sure, text looks crisp and smooth, but the only time I can tell when something might be non-retina, it looks really bad with visible pixelation (like Feedly's splash screen). Sounds are rebellious. No matter where I set my system volume, some apps will still play a notification or action sound. The only solution for notifications seems to be turning off each one through the settings. But even after that, some apps still make action noises when my iPad is muted. I love the rotation lock. This makes it easy to move my iPad wherever I want to, and the screen remain as I set it. Sharing anything is a pain. Android has a wonderful “Share to…” menu that apps can hook into. So from almost any app, I can share to SpringPad, TweetDeck, Buffer, Gmail, Facebook, Google Plus, WordPress, or any other app I install. On iOS, most programs offer Twitter, Facebook, and email. That's it. Gmail is frustrating. I get that Google is now putting their best work into Android. But their Gmail app is terrible on iPad, and it's not all Google's fault. I can't undo actions, receive notifications, send from a different address, or default to priority inbox. And Gmail can't be set as a default email application, so “share to email” is useless to me because my Gmail is too complicated to setup in Apple's email program. Notification Center is wonderful. Yes, Apple copied Android's notifications, but I like how Apple has improved on it, and made receiving notifications in full-screen apps easy. However, these notifications are oddly CPU or GPU intense, because they'll cause the framerate of a game to stutter. Apple wants my Apple ID password far too often. Upon setup, I had to enter my Apple ID password a dozen times in different areas of the settings. If the whole iPad is tied to my Apple ID, then why re-enter the same credentials? Even once setup, I have to re-enter my Apple ID password just to update apps or install paid or free apps. Considering that I make secure passwords with LastPass, this is even a further pain. I hate “slide to unlock.” There's no way to disable it unless the iPad never turns off. Typing is error-prone. Something about touch-screen keys, or maybe a sensitivity issue, makes it hard to type much on the iPad. But even with successful typing, there is so little screen real estate left to see what I'm doing. Battery life is great, even outlasting my ThunderBolt. This is understandable because the ThunderBolt does more in the background and has a data connection when it's awake. The camera is great, but I don't want to look like a dweeb by actually using the camera in public. Instagram works, but it's 2x'd for being an iPhone app (or would that be 8x'd with Retina display?). Reading is a lot easier. I frequently take my iPad whenever I want to read. The bigger screen and crisper text make reading ebooks or RSS subscriptions (via Feedly) a breeze. The iPad will display twice as many news items as my smartphone. I have to buy my apps all over again. I have a lot of premium apps on my Android phone. Important things like Angry Birds, Cut the Rope, and Where's My Water?. I would have to repurchase these for the iPad, and I would still lose my progress from the Android smartphone. No disk access. On my smartphone, I can upload or download a file to it and access that file however I want later. On iPad, I have to sync with a specific app, if that's available. Otherwise, the file is worthless on my iPad (like syncing a file with Dropbox). Voice dictation is great, but there's no Siri. Yes, stuff just works. I lose a lot of customization, but it does just work. That's it for now. I'll probably blog more about my iPad as I feel like it. Have you mixed an iOS and Android device in your regular day? How did that work for you? What did you like or dislike about the experience?